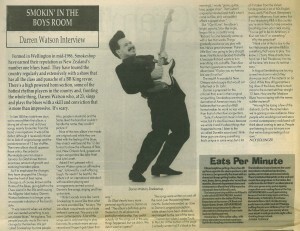 Formed in Wellington in mid-1986, Smokeshop have earned their reputation as New Zealand’s number one blues band. They have toured the country regularly and extensively with a show that has all the class and panache of a BB King revue. There’s a high powered horn section, some of the hottest rhythm players in the country and, fronting the whole thing, Darren Watson who, at 23, sings and plays the blues with a skill and conviction that is more than impressive. It’s scary. In late ’88 they took three days out to record their first album, a strong set of new and old blues songs, mainly favourites from the band’s live repertoire. It was a fine debut, although it received criticism for its lack of original songs and the predominance of 12 bar shuffles. Their new album should appease those critics. Recorded in Marmalade over ten days in January So Glad shows that an enormous amount of growth and maturing has taken place. As it to emphasise the changes, they have dropped the Chicago from the front of their name. Chicago is, of course, known as the Home of the Blues, giving birth to the Chess sound in the 50s and housing the Alligator label today. Darren Watson believes it no longer gives an accurate indication of the band’s style. “It was relevant when we started and we needed something to say we played blues,” he explains, “but people basically made the name change by themselves. We got called Smokeshop by most people. Nine of the new album’s ten tracks are originals and while they are filled with the feeling of the blues, they stretch well beyond the 12-bar format to show the influence of Stax soul, New Orleans funk, gospel and singer-songwriters like John Hiatt and Lyle Lovett. Asked if he’s pleased with it, Darren Watson gives an affirmative “yep”, followed by a self-effacing laugh. He needn’t be bashful; the album’s of an international standard with excellent playing and arrangements centred around Darren’s fine songs, singing and firey guitar style. 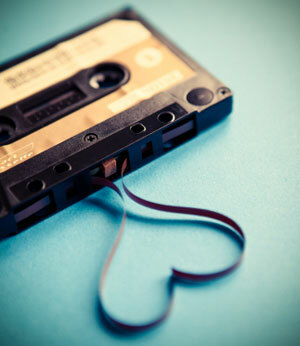 The songs were written on and off the road over the past eighteen months. Some have ended up close to Darren’s original conception, while others have been drastically rearranged by the rest of the band. But “I Can’t Live”, the album’s bright, punchy, Stax-like single, began life as a country song. The result? A wonderful New Orleans-style boogie that would suit Little Feat or Dr John. Darren is prepared for the criticism that, even in their original songwriting, Smokeshop are strongly derivative of American music. He believes that his use of an R&B format makes his work no less valid than that of other Kiwi songwriters. 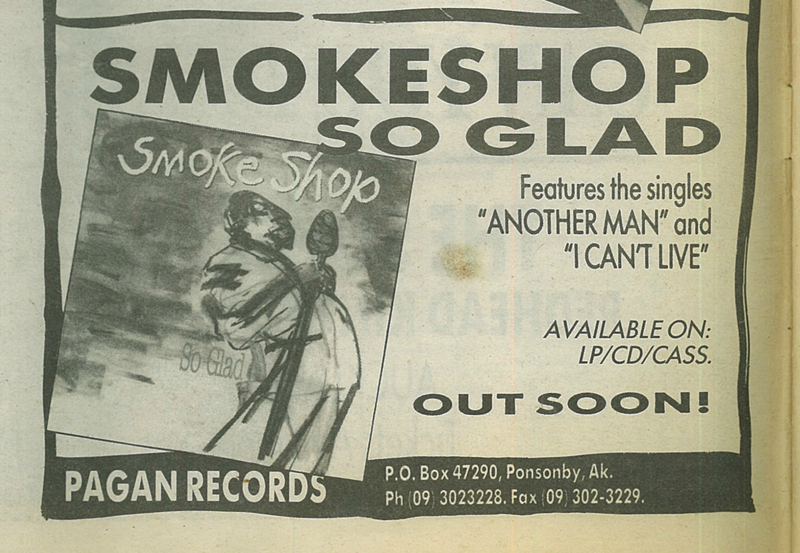 In August Smokeshop are touring a new live show in which they showcase most of the material on So Glad. While they still guarantee a big dose of the blues, there is much more to the current set than straight 12-bars. How are the ‘Madison Blues’ hoons coping with the newer, subtler material? SMOKIN’ IN THE BOYS ROOM from ‘Rip It Up’ No. 156, July 1990. Pagan Advertisement from ‘Rip It Up’,No. 155 June 1990.